As the founder of the Bauhaus, Walter Gropius (1883-1969) helped write a significant chapter in modern architectural history. 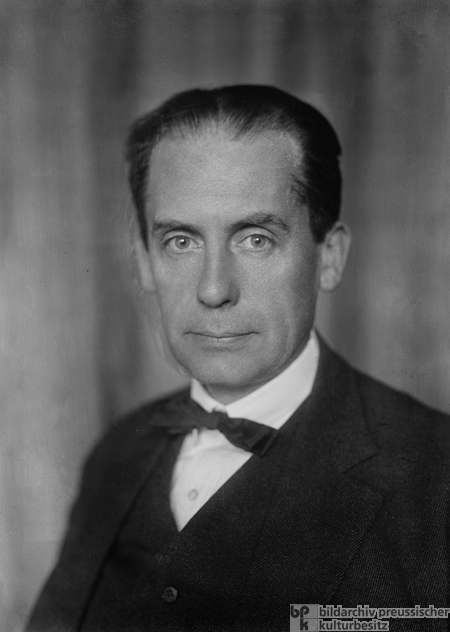 Gropius was a student of the prominent industrial architect Peter Behrens and a member of the Deutscher Werkbund. From 1919 until 1928, he served as director of the Bauhaus, which was located first in Weimar and then (after 1925) in Dessau. Gropius also designed the school at the Dessau Bauhaus, which is widely regarded as one of the most influential buildings of the modern movement and indeed the twentieth century. After the Nazis seized power, he emigrated to the United Kingdom and eventually to the U.S., where he taught architecture at Harvard University and continued to work as an architect. Photo by Walter Stiehr.